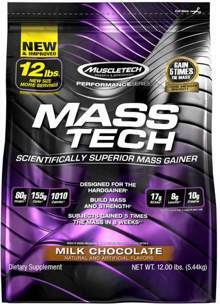 When mixed with two cups of skim milk, MASS-TECH delivers over 1170 calories and 80 grams of protein that supplies 13 grams of BCAAs. The formula also contains the most scientifically researched form of creatine. Additionally, MASS-TECH contains zero trans fat and zero aspartame. 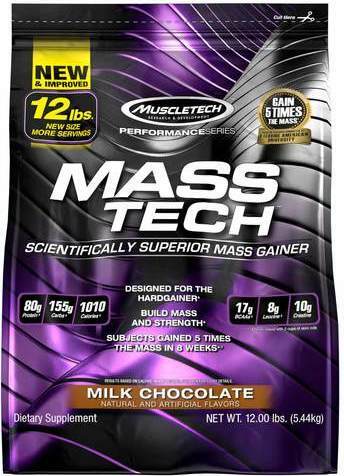 Unlike the competitors who do not disclose the ingredient amounts in their formulas, MASS-TECH is different. The doses of its clinically validated and scientifically tested ingredients are fully disclosed so you know exactly what you are getting.